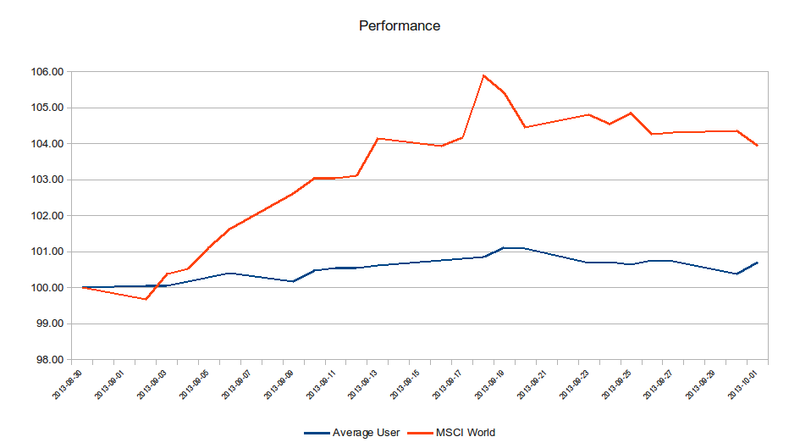 The average user performance has remained unchanged and stands at 0.71% . The MSCI World Index has decreased by 0.61% to 3.94% as of last night. Average user Votes have turned more bearish in almost all Markets. 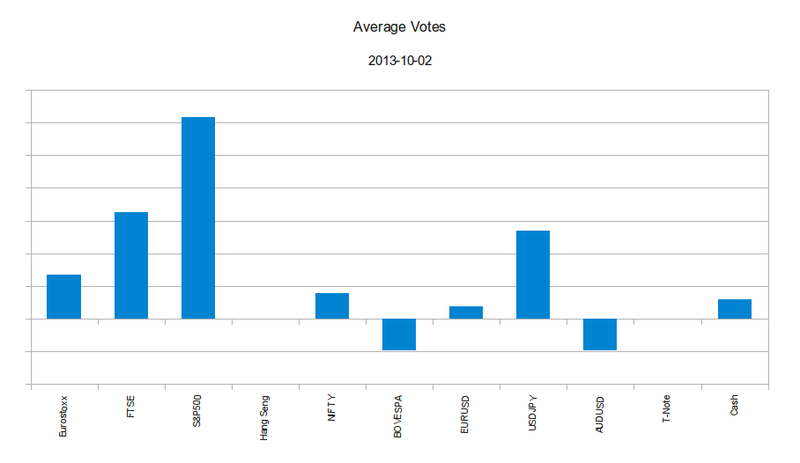 Only Hang Seng and 10 Year US Treasuries votes are slightly more bullish than a week ago.